Will people ever live and work on the Moon and Mars? Will the settlement of space take place in your lifetime? The settlement of space would benefit all of humanity by opening a new frontier, energizing our society, providing room and resources for the growth of the human race without despoiling the Earth, and creating a lifeboat for humanity that could survive even a planet-wide catastrophe. Efforts to develop space settlements have almost stopped, primarily because no one has a sufficient reason to spend the billions of dollars needed to develop safe, reliable, affordable transport between the Earth and the Moon. Neither Congress nor the taxpayers wants the government stuck with that expense. Private venture capital will support such expensive and risky research and development ONLY if success could mean a multi-billion dollar profit. Today, there is no profit potential in developing space transport, but we have the power to change that. Lunar and Martian real estate is currently worthless. But that real estate will acquire enormous value after there is a settlement, regular commercial access, and a system of space property rights. Lunar or Martian property ownership could then be bought and sold back on earth, raising billions of dollars. This is a plan to be sure that money is used as an incentive and reward for those who invest in a way to get there and stay there. Whether you love him or hate him, President Donald Trump made his fortune in real estate - buying undervalued land, building on it, or just holding it, until it's value went up, often for a huge profit. This plan would use that kind of real estate speculation to fund the settlement of the Moon and Mars. When asked how he was going to fund his proposed Martian settlement, Elon Musk could only make a joke from The Simpsons about "stealing underwear." Funding space settlement the same way President Trump built his fortune would be a much better alternative! Hopefully the Trump administration might therefore be sympathetic to this market-based space settlement incentive and take steps to encourage its passage. In the mid 1960's, President Johnson saw he was going to be forced to take money from the space race to fund the Vietnam War. He feared that, if that let the Russians win the race to the Moon, they might claim ownership of the Moon. So he proposed, negotiated, and the U.S. Senate ratified, what became known as the 1967 "Outer Space Treaty." Among other things, this treaty prohibits any claims of national sovereignty on the Moon or Mars, etc. Therefore no nation can claim or "grant" land in outer space. But, quite deliberately, the treaty says nothing against private property. Therefore, without claiming sovereignty, the U.S. could recognize land claims made by private companies, regardless of nationality, that establish human settlements on the Moon or Mars. The U.S. wouldn't be "granting" or giving the land to anyone. It isn't the U.S.'s to give. The settlement itself says "because we are the first to actually occupy this unowned land, WE claim ownership of it" - and the U.S. just "recognizes" - accepts, acquiesces to, decides not to contest - the settlement's claim of private ownership. The proposed legislation would commit the U.S. to granting that recognition if those who have established settlements meet specified conditions, such as offering to sell passage on their ships to anyone willing to pay a fair price. Entrepreneurs could use that promise of U.S. recognition to help raise the venture capital to develop the ships needed to make the claim. The dollar value of a Lunar land claim will only become big enough to be profitable when people can actually get to the land. So Lunar land deeds, recognized by the U.S. under this plan, can be offered for sale only after there is a transport system going back and forth often enough to support a settlement and the land is actually accessible. It will finally be understood to be land in the sky, not pie in the sky. It would take a really large land claim to be worth that huge investment, of course, but there is an amazingly large amount of land out there waiting to be claimed. For example, a claim of 600,000 square miles, about the size of Alaska (just under 1,600,000 square km.) would be only around 4% of the Moon's surface, but would be worth almost 100 billion dollars at only $260 an acre (4047 square meters). At $500 an acre it would be worth $192 billion. Of course the price of the land, especially the best land, might be much more by then. It will be offered for sale after months of worldwide press coverage produced by the race to be the first to settle the Moon. There will be land buyers with business purposes for buying and using land, but there will be a much bigger speculative and investment market. Many people who will never leave Earth will buy Lunar land. Some in hopes of making a profit, others just to be part of the excitement or to leave an acre to their grandchildren, or put their name on a crater. The profits on land sales which take place in the U.S. will, of course, be subject to U.S. taxes, so the Budget Office will score this legislation as a revenue producer, not a cost to the U.S. It sounds strange because we haven't done it yet, but there is growing sentiment for extending private property and the benefits of free enterprise to space. Before copyright and patent laws, no one could own songs, stories or ideas. The passage of those laws, creating intellectual property, made whole industries possible and added greatly to the world's wealth from things that had previously been valueless. Creating lunar property could be the incentive to open the space frontier to everyone, thus benefiting all of humanity. If an incentive plan like this had been enacted in the 1990's, when it was first proposed, there would be human beings living on the Moon and maybe Mars today. But there were too many obstacles that needed to be overcome, one by one, over time. First was getting people to finally realize that the government wouldn't pay to settle space. It was hard to accept that times had changed since the government had paid for the Apollo program. It took years of steady budget cutting to convince people the taxpayers simply wouldn't be willing to pay for a Lunar space settlement. Then there was the strangeness of the concept of private companies launching their own rockets into space. Some people dismissed the notion out of hand. Some in NASA and the U.S. State Department were actively hostile to having anyone but government employees in space. But again times changed and, finally, the current administration of NASA is now supportive of commercial space companies, at least for transport to the International Space Station. Then there was the guy who effectively blocked acceptance of this initiative because he demanded the right to claim space property without having to actually go there. Of course, the courts eventually threw out his claim to ownership of an asteroid, but in the process he set the cause of space property rights back years. He couldn't understand that actually inhabiting the land was absolutely necessary to have the world accept those property rights, - not to mention that the purpose of enacting property rights was to encourage settlement. Most damaging of all were the overzealous self-professed "space lawyers" who insist on a super restrictive interpretation of the 1967 Outer Space Treaty. They use a torturous chain of reasoning to claim it bans a private settlement from owning the land that the settlement inhabits. Some of them go so far as to say that, under their interpretation of the Outer Space Treaty, no one could even claim ownership of a moon rock they'd gone there and picked up. Those "space lawyers" objected, but their position was clearly rejected by Congress and the President with the passage of the Space Resource Exploration and Utilization Act of 2015 (Title IV of H.R. 2262 - U.S. Commercial Space Launch Competitiveness Act). The Space Resource Exploration and Utilization Act of 2015 says, "A United States citizen engaged in commercial recovery of an asteroid resource or a space resource under this chapter shall be entitled to any asteroid resource or space resource obtained, including to possess, own, transport, use, and sell the asteroid resource or space resource obtained in accordance with applicable law, including the international obligations of the United States." It only covers "resources", not full private property ownership per se, but it's getting close. The "space lawyers" are absolutely right when they say it starts us down the slippery slope toward eventually recognizing full property rights. Interestingly, the wording of the The Space Resource Exploration and Utilization Act's disclaimer of extraterritorial sovereignty, in Section 403, is very similar to the disclaimer of sovereignty that we proposed decades ago in The Space Settlement Prize Act's findings 14 and 15. We originally hoped The Space Settlement Initiative would be enacted in time to jump start a private race to space settlement. Unfortunately, that hasn't happened yet. Now it appears that it probably won't be enacted until someone like Elon Musk or Jeff Bezos thinks they are getting close enough to push for the creation of the necessary prize. They'll have to, because the fact remains that property rights are the still one and only thing that can possibly produce a profit potential sufficient to justify the huge investment needed to establish an entrepreneurial space settlement. No matter when it finally gets enacted, space settlement will happen only when private property rights recognition has come into force - and settlement will happen when those rights have been established. Would you support such innovative legislation? If so, please tell others about www.SpaceSettlement.org. Better yet, tell your Congressman and Senator about this idea. If you live in another country, why not suggest such legislation to your own government? I want to thank the Space Colonization Technical Committee of the American Institute of Aeronautics and Astronautics (AIAA) and the Moon Society/Artemis Society, among others, for their endorsement of the Space Settlement Initiative. Such endorsements are very helpful. Finally, I want to thank Dave Brett very much for creating and maintaining this web site. 1. What is the real purpose of enacting a land claims recognition law? 2. Will promising property rights be enough to produce the necessary investment in developing affordable space transport? 3. What does international law say about private property ownership in space? 4. Can there be property ownership without national sovereignty? 5. What if other nations refuse to recognize land claims in space? 6. Why not give smaller, limited land grants for easier steps than settlement? 7. Could lunar land really be worth enough money to make a difference? 8. What conditions should the U.S. set for recognition of a claim? 9. How much land should a settlement be able to claim...and why? 10. Why must the Earth-Moon space line and settlement be open to all paying passengers regardless of nationality? 11. Wouldn't it help if a major company announced that, if a land claims recognition law were passed, it would try to develop affordable space transport? 12. Are the weaknesses and compromises in this plan likely to be permanent? 13. Didn't the earliest version of this plan talk about "Lunar land grants"? Why aren't you using that phrase any more? 14. Did land grants work? 15. You can't farm Lunar land, and Earth doesn't need its minerals. So how could Lunar land be put to profitable use? 16. If you can't give figures, now, proving the profitability of the end uses of Lunar land, how could anyone raise big money for Lunar land? 17. Could other sources of revenue be enough, without land claim recognition? 18. What if the settlement does not produce enough operating revenue to pay off its debts and make a profit? 19. Could this law produce a new "space race"? 20. Why is U.S. legislation, in particular, so important? 21. Could the U.S. withdraw from the Outer Space Treaty, claim national sovereignty on the Moon, then award property rights to whomever it pleased? 22. What about defense? Does recognizing a land claim obligate the U.S. military to defend the settlement? 23. What effect would this have on NASA and the aerospace companies? 24. What do the experts say about this idea? 25. Who came up with this idea? The creation of a legal system of property rights for space is not the long-term objective. The establishment of a property rights regime for space is only a means to an end, not an end in itself. The real purpose is to enable the expansion of the habitat of the human species beyond the Earth by offering a huge financial reward for privately funded settlement. It is the only way to create an economic incentive sufficient to encourage private investment to develop affordable human transport to the Moon and Mars. There are alternative space property rights schemes being proposed by some lawyers that would, instead, make settlement even harder than it would be now. They would require that, if you do pay to develop space transport, you would then have to pay the UN or some other body even more for the land you want to settle. Property rights legislation should be judged by how well it encourages space settlement, not on how elegant the resulting property rights system is. Property laws could be left to evolve after settlement, except that settlement just isn't happening without them, so we need something like this legislation to jumpstart it. Hopefully, promising property rights will turn out to be enough to produce the necessary investment. But it is impossible to know, this early, whether it will be. After all, it is impossible to know now how much it will cost to develop safe, reliable, affordable space transport, or how long it will take. But we can be certain that promising property rights would help generate the investment we need. There is also no way to be sure just how much Lunar land will be worth when recognized deeds are being sold by people who can actually take you (or your customers) to that land. But a piece of Lunar land the size of Alaska would certainly be worth a very large amount of money. Right now there is a sizable demand for phony deeds to Lunar property, so it is safe to assume there will be a much bigger demand for real deeds to Lunar property. We'll talk about how to estimate the dollar value of lunar land in the answer to question 7, below. Those who say property rights are not needed until after settlement has actually taken place are counting on near -term incentives (such as space tourism, servicing the space station, etc.) to produce all the necessary investment in affordable space transport, the establishment of on-orbit infrastructure and then settlement itself. It is very much open to question whether such near-term incentives could be sufficient, but it is certain that adding a very big long- term incentive, on top of whatever near-term incentives there are, would have to help. Imagine that you are an entrepreneur trying to get a venture capitalist to fund your research on a radical new idea that you think might reduce launch costs by an order of magnitude or more. He asks, If you succeed in this risky venture, how are you going to use it to make enough profit to make it worth my while? You tell him your projections of space tourism profits, etc., and he is impressed, but not enough. Then you add: in addition to all that, if we do reduce launch costs enough, it could later be used to establish a settlement on the Moon and immediately gain U.S. recognized ownership of 600,000 square miles that could be sold, and/or mortgaged, starting the very next day. If that were valued at only $260 an acre, it would be an instant gain of an almost $100 billion dollar asset on your books. At $500 an acre it would be worth $192 billion ($192,000,000,000.00). Is there any chance that would not help your case? Even at only $100 an acre it would be almost $40 billion. In order to spur the development of affordable space transport, this law doesn't need to bring in all the needed investment by itself. There are existing incentives, but not enough. We need only bring in sufficient additional financing to tip the balance. The promise of property rights for space settlement is a very low cost, low risk, "do-able" way to attract that supplementary venture capital. Early in the negotiations for the 1967 "Treaty On Principles Governing The Activities Of States In the Exploration And Use Of Outer Space, Including The Moon And Other Celestial Bodies", generally called the Outer Space Treaty, the USSR suggested that the treaty ban private activities in space but, at the insistence of the Americans, all such provisions were dropped from the final treaty. According to the New York Times report of the U.S. Senate ratification hearings for the Treaty, (March 7, 1967) Senator Albert Gore (Senior) worried that the "benefit of all" provisions of Article 1 of the treaty might inhibit space activities. The Times says Arthur Goldberg, who negotiated the treaty for the U.S., reassured Gore by describing "the article as a 'broad general declaration of purposes' that would have no specific impact until its intent was detailed in subsequent, detailed agreements." The one serious attempt to establish such a follow-up agreement was a disaster that the U.S. Senate refused to ratify, specifically because it attempted to ban private property. It was the 1979 "Agreement On The Activities Of States On The Moon And Other Celestial Bodies" generally referred to as "The Moon Treaty". It would have replaced the "benefit of all mankind" language with the drastically different "common heritage of mankind" doctrine. Some third world countries have claimed that the "common heritage" doctrine would mean that anyone wanting to establish a lunar settlement might have to pay off the leaders of every nation on Earth. Fortunately, since it wasn't ratified by the U.S. or any other nation that was then spacefaring, the Moon Treaty is generally regarded as a dead letter, and is not binding on the U.S. or its citizens. Thus, The Space Settlement Institute is firmly convinced that, as things stand now, private entities can claim ownership of land on the Moon "on the basis of use and occupation" although nations cannot. For a fully detailed, footnoted discussion of the many legal questions, opinions and precedents involved, as published in SMU Law School's Journal of Air Law & Commerce, the oldest and most respected law journal in its field, see: "Space Settlements, Property Rights, and International Law: Could a Lunar Settlement Claim the Real Estate It Needs to Survive?" Now that article has also been reprinted, in it's entirety, as the chapter on the subject of space property rights in the important new law school textbook from Westview Press: "International Law", Silverburg, ed., (ISBN 978-0-8133-4471-3). In countries like France, which follow what is called "civil law" (as opposed to "common law" which the U.S. inherited from the U.K.) property rights have never been based on territorial sovereignty. Instead they are based on the "Natural Law" theory that individuals mix their labor with the soil and create property rights independent of government. Government merely recognizes those rights. In Islamic law, everything belongs to Allah, and a property owner is Allah's "vice-regent", but man serves Allah when he makes use of property. Therefore, Islamic judicial law says that property can be acquired through developing and using land that has been unclaimed by anyone. Throughout history, actual settlement, "occupation and use" has been the traditional basis for claims of ownership of land that had no sovereign. Columbus claimed the land he discovered by leaving a garrison on it, not by planting a flag. We want the U.S. to treat the settlement, itself, as having one of the attributes of a sovereign: the right to claim private ownership of unowned land by right of use and occupation. For property rights on the Moon, the U.S. will have to recognize Natural Law's "use and occupation" standard, rather than the common law standard of "gift of the sovereign", because the common law standard cannot be applied on a Moon where sovereignty itself is barred by international treaty. The U.S. will have to say that, because there can be no government on the Moon, a true settlement can give itself title, just as though it were a government, and its property deeds, for land under its control, will be recognized by U.S. courts of law, (subject to specified limitations) just as titles issued by France, China and even Iraq, are recognized by U.S. courts. Because the US market represents such a large fraction of the world's economy, and because it often leads the way on economic matters, US recognition is by far the most important - and the place to start. But it certainly would be very desirable if other nations then joined in, especially those with significant space industries, such as the members of the European Union, Russia, Japan and China. Therefore, it is important that those nations see more benefit to themselves in joining than resisting. The legislation in this proposal strongly encourages reciprocal arrangements with other nations. It instructs the State Department to actively seek those agreements. If needed, it allows State to negotiate treaties that require that settlements be multi-national consortia, to assure other nations that this isn't going to be just an American land grab. If necessary to get the UN on board, it even allows State to negotiate treaties requiring the inclusion of citizens of at least one developing country as investors or providers of an equatorial launch site. Will this be enough to guarantee all nations sign on? Probably not at first, but it won't really make a significant difference to land buyers if Libya and Cuba, etc., refuse to recognize their land deed, as long as they know the US and the major spacefaring nations will. 6. Why not allow smaller, limited land claims for easier steps than settlement? It would be nice if we could offer a series of graduated rewards for each little advance in space development, but it can't be done legally,... and the claims wouldn't be worth anything much if it could be done. Where the U.S. has sovereignty, and is the source of ownership, the government can give ownership of land, or limited rights to its use, for whatever reasons it chooses. But, since no nation can claim sovereignty on the Moon and Mars, the U.S. has nothing to give. The only thing governments can do is to recognize, or not recognize, a claim made by a private entity which has a good case for making the claim. This law would not prohibit anyone from making a claim to any space real estate based on anything, or nothing at all, including "I want it, so it is mine". Nor would it require anyone else to pay any attention to such a claim. It would only require that the U.S. government must recognize a claim based on actual settlement and "use and occupation". It will take hard work to get Congress and the courts to accept even settlement and "use and occupation" as a basis for space land claim recognition, even though that has always been the basis for claims of ownership of new land. Space claims based on anything less than settlement would be virtually impossible to justify to the courts and the world. More important, human settlement of space is our real goal! We are a lot more likely to actually see it happen if it is the required condition to win anything. Recognizing limited ownership for less could reduce the incentive, for both the winners and losers of the first round, to keep going full out toward settlement. Only when there is a live human being waiting on the Moon for the return flight can we be really sure that there will be a return flight, even if the accountants say, "put it off for a few years, or more." It isn't how much land you get that matters. It is how many dollars it is worth! So how much could those 9.38 billion Lunar acres be worth in dollars? First, let's figure the absolute minimum, worst case dollar value. It seems a more than reasonable floor to assume that REAL Lunar deeds would - at the very least - be worth no less than the proven market price of phony ones. So Hope has proven beyond doubt - by selling so very many of these "deeds" all over the world at $15.99 per acre, - that real deeds, recognized by the US and actually accessible by a then-existing commercial Earth-Moon space line - would certainly be worth no less than $15.99/acre. 15.99 times 9,383,748,198 acres = $150,046,133,679. That is over $150 billion dollars - absolute minimum worst -case value. Of course, US government recognized land would be worth many times more per acre. For example, at $260 per acre it would be $2.4 trillion. At $500 per acre it would be $4.7 trillion. Even at only $100 it would be $938,374,819,756.00, almost a trillion dollars. I assume that would be much more than the necessary incentive, so I've been proposing recognizing claims of no more than 4% of that - 600,000 square miles - but if need be, the size of the recognition could be increased up to whatever it took - up to that limit of $938 Billion dollars. Do you think a chance to win a "prize" worth almost a Trillion Dollars would be enough to interest Boeing or Lockheed? Further, much can be done to increase the value of that land over time. First, the dollar value of an acre of lunar land goes up exponentially the day buyers can actually buy a ticket and go there, or send a representative or a customer. That means the value of the land goes up exponentially if we hold it back until there is an airline-like space line going back and forth. The value of the land claim can be similarly increased if we capitalize on the media coverage of a space ship taking off to try to win the race to establish the first human settlement on the Moon. The day people land on the Moon, set up permanent habitation, and stay there while the ship goes back for more people, they will be the whole world's heroes -- on every TV screen and front page on Earth! Trips to and from the moon will be terribly expensive at first. But deeds to small parcels within the vast area around a settlement will be much more affordable. People around the globe will have a chance to buy those deeds as a way to support the project, or just feel part of the excitement. Then, and only then, will a lunar land claim reach the multi-billion dollar value that would make a real difference, enough to justify even the billions it took to win it. It should set an appropriate limit to the amount of land that can be claimed, (and it will be easier to increase the size of a grant, later, than to reduce it). It should require the settlement to behave by international norms. It should require that the settlement be open to all and prohibit anti-competitive behavior. Regulations could even include protection for sites of historical or other special importance. It might also be required that only a certain percentage of land sale revenue can be used to repay the cost of establishing the settlement and taken as profit, the balance being retained to support the settlement itself until it can find ways to earn enough to become self sufficient. The first settlement on the Moon should be able to claim up to 600,000 square miles. Getting to Mars will cost much more and Mars itself is larger than the Moon. Therefore the first Martian settlement should be able to claim up to 3,600,000 square miles, roughly the size of the United States. That would be worth $600 billion at $260 an acre, or $1.15 trillion at $500 an acre. Even at only $100 per acre it would be 230 billion dollars. Some critics object that would allow a settlement to claim more land than it can use, but the amount of land that can be used depends on what you are using it for. Nineteenth century land grant farmers used 40 acres and a mule. Modern mechanized farms use vastly more land than that. Cattle ranchers use much more land than farmers. But none of those are the size criteria that should be used for a Lunar settlement because, of course, the settlement will not make its living by either farming or ranching. The plan is to let settlements recoup the cost of getting there in the first place by selling land. If you are in the real estate business, especially if you are selling totally raw Lunar land, you can use all the acreage you can get title to. So the "right" size for a claim is that size which is just large enough to justify the cost of developing reliable space transport and establishing a settlement. Small enough to force the development of cost effective, affordable, transport, and small enough to still leave room for future settlements. That's how the proposed settlement sizes were derived. Real estate experts guessed at the minimum the land would bring when you could buy a ticket and get to it. Space experts guessed at what was the least that financially efficient private companies could hope to establish settlements for. The average settlement cost estimates, divided by the estimated average dollars per acre, gave the number of acres needed. Converted to square miles, that worked out to approximately 600,000 square miles on the Moon and 3,600,000 square miles on Mars. Fortunately, that is quite small enough to still leave plenty of room for subsequent settlements, since it is only around 4% of the Moon, 6.5% of Mars. Since it is much easier to follow than to lead, and we want to encourage leadership, no settlement after the first gets even that much. Each subsequent settlement gets 15% less land than the previous one. Finally, no entity can get recognition for more than one settlement on a body. Therefore there is no possibility of anyone monopolizing all the land. International law clearly requires that opening the space frontier must "benefit all mankind" and that there must be "access to all areas of celestial bodies". The Outer Space Treaty in its very first article, says, "The exploration and use of outer space, including the moon and other celestial bodies, shall be carried out for the benefit and in the interests of all countries ... and shall be the province of all mankind. ...and there shall be free access to all areas of celestial bodies." Article XII says: "All stations, installations, equipment and space vehicles on the moon and other celestial bodies shall be open to representatives of other States Parties to the Treaty on a basis of reciprocity. Such representatives shall give reasonable advance notice of a projected visit, in order that appropriate consultations may be held and that maximum precautions may be taken to assure safety and to avoid interference with normal operations in the facility to be visited." All settlements and property owners will have to accept that rule unless the Treaty is ever changed. Establishing a space line and settlement open to all paying passengers, regardless of nationality, would certainly benefit all mankind, thus making it both necessary and sufficient to meet that very important condition of international law. The question of compliance with the access requirement of the Outer Space Treaty upsets a lot of people, on both sides of the issue. Greg Nemitz (former "National Marketing Director" of Dennis Hope's "Lunar Embassy") calls me a Communist for acceding to the access requirement, because it means property owners can't have an absolute right to keep everyone else off their land. Wayne White, however, insists my plan fails because it does not go far enough to comply with that same "free access" rule. I, of course, think I've made the best compromise possible until and unless the treaty is revised. Of course, it would help immensely! It would make a huge difference if someone capable of operating at thatlevel, such as a really big investor or a Fortune 500 company, took the time to think carefully about the economics and realized how profitable owning land on the Moon could be. Of course, Congress would give the idea much more credibility if they heard someone representing Boeing or Lockheed tell them that passing a land claims recognition law would lead to a serious privately funded space development effort. The problem, unfortunately, has been like the classic "which comes first: the chicken or the egg?" Smart businessmen aren't interested in putting their efforts into business plans dependant on laws which, not only haven't been passed yet, but haven't even been introduced. Smart Congressmen aren't interested in putting their efforts into introducing legislation to create industries that businessmen aren't even talking about yet. If you can be the one who gets some billionaire investor, or key CEO, (perhaps someone you happen to know or work for), to break that log jam by investigating and promoting the idea, the future colonists on the Moon will probably build a statue to both of you someday. The most probable immediate outcome of U.S. passage of a land claims recognition law would be the prompt start of international negotiations -- negotiations which will never happen otherwise -- toward a new treaty (or new bilateral treaties) in which a number of the weaknesses and compromises necessary at this stage could be resolved. Hopefully the resulting new space treaty will provide uniform international recognition of property rights in space in return for providing non-discriminatory access to all. Enforcement mechanisms, revision of the free access rules, permanence of claims, questions of sovereignty and legal jurisdiction, size of subsequent claims, etc., etc., might also be on the agenda. At the moment, the diplomatic community, much of which would prefer space remain open only to governments anyway, sees much higher priorities than a new space treaty. If this legislation passes, and nothing further is done, the U.S. will have created the de facto property regime for the Moon, and settlement will seem imminent. That should give the diplomatic community a strong incentive to start negotiations toward a new treaty. I stopped using that phrase because it conveyed the misimpression that the land is currently someone's to grant. The current phrase is therefore the less catchy but more accurate "land claims recognition" and the words "land grant" are used only to talk about what we cannot do, or (as in the next Q & A) historical analogies on Earth. Although classic land grants cannot be used in space because sovereignty is prohibited, the objective of land claims recognition in space is the same as the objective of land grants on Earth: the use of property rights as an incentive to get private individuals to do something of great value to the whole society. Much of the United States was developed by the use of land grants, from large parts of the original 13 colonies through the settlement of the West. Congress, not wanting to use government funds, used land grants to encourage the building of the transcontinental railroads. Fortunately, the application of land claims recognition to space has a big advantage over the use of land grants for building railroads. To get a railroad built, someone (usually whoever has the best political connections) must be selected and given a monopoly over the right of way before they have proven that they can and will deliver on their promises. Railroad companies' promises were often broken. In space the system can be structured to promote real competition, rewarding only those who have actually gotten the job done, by requiring actual "use and occupation" for all property claims. Basic industries like farming and mining are the first things people think of when considering putting land to profitable use, but they are very far from being the only way to make a profit on land. In fact, if you'll think about the United States today, a surprisingly small percentage of the land is being put to profitable use for farming or mining ...and it's an even smaller percentage of the profits actually being made on land. Far more profits are being made on U.S. land by people who use it as something to speculate on or invest in. Most Lunar land will first be put to profitable use that way: as something to speculate on or invest in. Karl Marx might have thought that shameful, but I don't. It is a perfectly good way to put land to profitable use. ...and if it results in opening up the final frontier for all mankind, it would be wonderful! Later, if land speculation and investment can pay to develop the infrastructure, many, many other uses for the land will open up. A few we can foresee: tourism related businesses, facilities for astronomy and scientific research, facilities for producing TV broadcasts for Earth (Lunar gravity will produce fascinating entertainment and sports programs), a landing field for visiting ships, with repair and re-supply facilities for those ships. Solar power collectors will take a lot of land, and location will matter a lot. Hydroponic farming for the inhabitants of the Lunar base will be profitable, and so will mining of things they need, especially water. Small factories will appear to produce things that originally had to be imported from Earth, starting with oxygen and construction supplies. The first export products will probably be small Lunar rock souvenirs or jewelry. Later, maybe Helium 3 could be exported. But the most profitable uses will appear in the future and are certainly beyond our ability to predict now. Could Ponce De Leon have predicted that that "worthless" swamp in the middle of Florida would end up as Disneyland? Would you expect Lewis and Clark to predict that those "worthless" snow covered mountains would eventually find very profitable use for ski lodges? That's "cart before the horse" thinking, -- and this plan is not at all about raising money for Lunar land. There is no Lunar land to buy. This is about raising money for the development of affordable space transport and the money doesn't have to be raised all at once, just enough to keep the experts working hard on solving the next piece of that puzzle. Only when safe, reliable transport has actually been developed, and launch costs have been brought low enough that even the accountants think a settlement could make a sufficient profit by selling land, will it be time for anyone to try to raise the big money to actually establish a settlement. If they succeed in creating a functioning space line and settlement, they then get ownership of the land and can try selling it. Only then (perhaps a decade after the law was enacted?) do they have to make projections about the future end uses of the land. Only then, when the cost of transport is known, can they be expected to make meaningful financial estimates. Some land, especially close to the base, will, by then, have identifiable uses and will sell for high prices to prospective entrepreneurs with serious business plans. Outlying land that still does not have identifiable uses will have to be sold for much less, which is why the settlement is allowed to claim so much of it. But it will still sell to those who take the long view or hope to make a profit by re-selling when the market price rises, as it always does eventually with land. There have been many fortunes made buying and selling "worthless" land that did not yet have identifiable uses and so land buyers have always been very tolerant of that. It is important to us that those who establish the settlement be able to sell enough of their land to make back many times their investment in developing or purchasing affordable space transport. But it does not matter at all, now, which of those who buy land from the settlement will get rich on it and which will end up holding the deeds for years for little or no profit. By creating a space line the settlement will enable many others to start Lunar enterprises. Some will do badly, some will do well. Eventually sources of revenue other than land sales will grow to the point where they can pay the operating expenses, fund the growth of the Lunar base, and still return a profit. Land buyers will sense that potential. But there is certainly no requirement that those later revenue sources be precisely identified now, before the enabling legislation has even been passed. All these years after humanity first landed on the Moon, no one is investing serious money in going back to stay. That fact alone is proof that the currently possible sources of revenues are not enough and must be augmented somehow. This project will not only cost a lot, it will take a lot of time, pushing the limits of how long investors will wait for a return. The other ways to make money will all take additional time and investment to start paying off. Only land sales can produce returns as soon as the settlement is established, and therefore they will be the first dollars earned by the investors. That would make land sales particularly important in the business plan of any private settlement effort. For more on this subject, see: Why Are Land Sales Necessary? If not, then sooner or later it ends up like the Iridium satellites or the U.S. land grant railroads. The railroad companies went bankrupt, but the new owners kept operating the trains. Bankruptcy wipes out the debt, but the system still functions and the world has its benefits. This legislation must be structured to be sure that, if a settlement company goes bankrupt, its ships and settlement will be sold, if need be, for pennies on the dollar, to others who will keep them operating. Big land buyers may require the settlement to take out a performance bond or insurance to guarantee the ships will keep flying, even if the original settlement company were to default. The first lunar settlement would have a big advantage over others that came later. Clementine and Lunar Prospector have demonstrated that the poles of the Moon have many potential advantages over other areas of the Moon. The lunar poles have water which is frozen and/or bound into the lunar soil. In addition, the polar mountain tops are not cursed with 14 days of darkness every month. The team that is first to find a way to build affordable human transport to the Moon would get first choice of the Lunar poles. The second would have to settle for 15% less land, and the less desirable pole. Claims after that would be worth much less. That should provide a powerful incentive to race to be the first. The United States will probably be the first and most important market where land deeds will be sold to the public. In that case, it will be the U.S. courts that will rule on whether Lunar land sales are valid transactions or frauds. What this legislation does is tell the U.S. courts what standard to use in making that ruling. Further, it is not at all unusual for quite a few other nations to follow the U.S.'s lead on things like this. However, this legislation is most definitely not just for the benefit of Americans! Given today's global economy, it is almost certain that all entrants in the race to establish a settlement will be multi-national consortia. The investor/owners will be drawn from all around the world, as will the land buyers. Most particularly, the teams of aerospace companies cooperating to build the ships will be from many nations. It is just too big a job for one company, or even one nationality, to undertake alone. The Outer Space Treaty says any nation can withdraw from the treaty on one year's notice. Some suggest this would be a simple route to establishing private property on the Moon, but it is a dead end. There is no chance at all we will withdraw from the treaty because, in some ways, it provides a sound framework for activities in space, and it includes provisions, such as banning weapons of mass destruction from space, that are considered much too important to tamper with. That may actually be a blessing in disguise. If the U.S. did have sovereignty, land grants would undoubtedly be handed out on the basis of political connections, not on the basis of actually having opened the space frontier. Those who had received the land grants could then charge those who wanted to establish a settlement, rather than funding them. Thus, private property established that way might delay settlement, rather than hasten it. No! U.S. recognition of land ownership means its courts, not its military, must defend ownership. At the most, the U.S. might impose economic sanctions against any aggressor, if there ever were one, which there almost certainly won't be. Settlements themselves will issue land deeds, settle internal disputes, handle their own internal security and, in later years, their own defenses as needed. But aggression is not going to be the problem it would be on Earth, because it really wouldn't pay economically. Hollywood movies notwithstanding, it really isn't going to be like the Old West because it's so much harder to get to and from the moon, or to hide once you're there. The dollar value of the land, at least in the early years, is its market value on Earth - its salability to speculators and investors on Earth, - and no one would buy stolen land from someone who is not the recognized owner. So the very act of stealing Lunar land makes it instantly worthless. It makes overwhelmingly better sense to buy land from the first settlement - which will be eager to sell land and/or provide transportation to and from the Moon at reasonable prices, - than to spend billions building one’s own space line and then waste it mounting a war of aggression to steal already claimed land. Anyone who had such ships could use them to establish a whole new legitimate settlement, rather than fighting to steal some of the 4% of the Moon in the first settlement. Similarly, on the individual level, early Lunar settlements, unlike old west gold rush mining camps, will not have a problem of stronger neighbors kicking weaker neighbors off their land. That's because the settlement and space line control everyone's access to and from the Moon, as well as everyone’s oxygen and food supply and ability to ship anything back to Earth. The fact that it could, if it had to, stop refilling an unruly settler's oxygen tanks will make it very easy for a settlement's small police force to enforce discipline among individual settlers. This legislation would create a huge demand for space ship design ideas and expertise, greatly benefiting the companies. NASA would continue to do basic research and design that would help everyone, and individual centers might well be allowed to contract to work on specific problems on a proprietary basis. NASA could also play a role in helping to determine whether ship designs are safe and reliable and whether a genuine permanent settlement has been established. Esther Dyson, the world famous technology consultant, says "I like this idea. It would create a broad constituency to do something, sort of a cross-border would- be citizenry of the moon that I hope can spur governments and investors to action!" Peter Diamandis, creator of the X Prize, says "I agree, ownership will be the only powerful driver to open our frontier." Rosanna Sattler, the prominent space lawyer, (with Posternak Blankstein & Lund of Boston) says "Although commercial space law is still in its infancy, the authors' call to enact space legislation based on the principles of the Deep Seabed Mineral Resource Act would be a great leap forward in the quest for economic expansion in the high frontier." Dr. Jeff Fisher, Director of the Center for Real Estate Studies and Professor of Finance and Real Estate at the Indiana University School of Business, points out "How many people are rich today because their great great grandparents happened to have some land that at the time was not considered useful for development?" Alan Wasser is a former broadcast journalist at ABC News and CBS News, who then owned and operated a successful international business, which he sold. He was the Chairman of the Executive Committee (CEO) of the National Space Society. Alan was also a member of the Board of Directors of ProSpace, and is an Advocate of the Space Frontier Foundation. He was the first to propose that the first human settlement on the Moon might use a permanently sun-lit mountain top at the moon's south pole, the existence of which was only later confirmed by the Clementine mission. 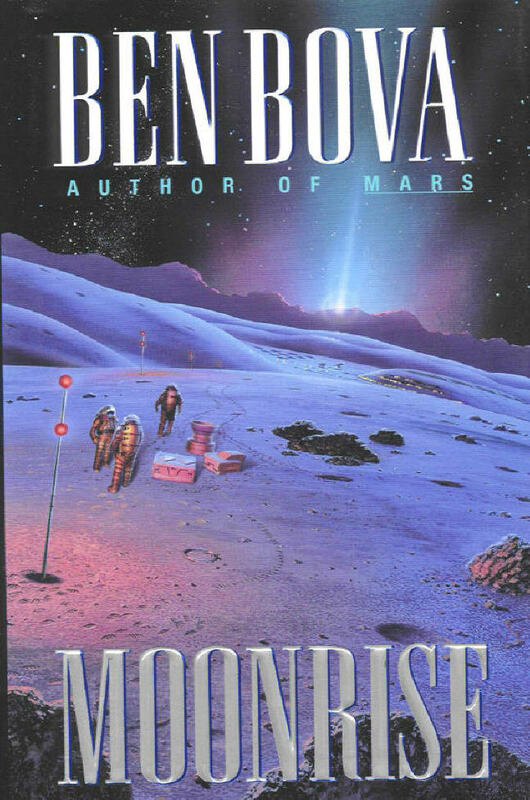 Much of Ben Bova's novel Moonrise takes place on that lunar mountain, which Bova named "Mt. Wasser". Alan is the originator of the idea of using land claim recognition to make privately funded space settlements potentially profitable, and therefore possible in our lifetime. 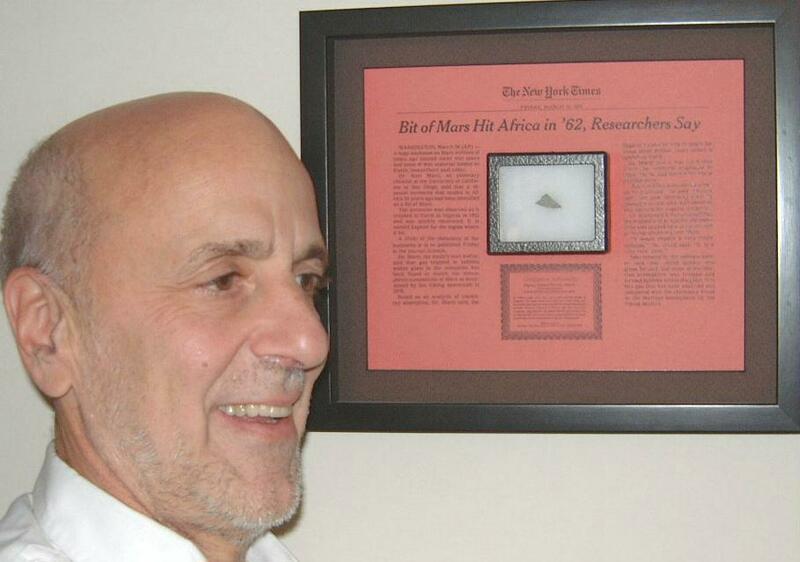 He is the author of numerous articles on the subject of space property rights, most recently in The Explorers Journal, the official magazine of the Explorers Club, Space News, Ad Astra, Space Governance, Space Times and Space Front among others. Space Governance published a rough draft of the proposed legislation. SMU Law School's Journal of Air Law & Commerce, the oldest and most respected law journal in its field, recently published an article Alan co-wrote with Douglas Jobes, entitled Space Settlements, Property Rights, and International Law: Could a Lunar Settlement Claim the Lunar Real Estate It Needs to Survive?. For more about him, personally, see Alan's bio at the Space Settlement Institute web site. But this project is much more than the work of just one person. Many others have contributed a great deal to it, deserving thanks and credit for supplying key ideas, explaining the fine points of international law, promoting the idea, helping with writing and editing or in other ways, and even by attacking the plan and exposing weak points that needed fixing. Among the many who contributed are Douglas Jobes, David Wasser, Colin Doughan, Eric Rice, Scott Pace, Marianne Dyson, Glenn Reynolds, Gordon Woodcock, Declan O'Donnell, Ray Collins, Arjen Van Ballegoyen, Bryce Walden, Leonard David, Lawrence Roberts, Ben Bova, Rick Tumlinson, Arthur Smith, Carol Kochman, Toni Sonet, Art Dula, Robert Zubrin, Jim Bennett, Bob Werb, Charles Wood, Fred Ordway, Jim Benson, Pat Bahn, Peter Kokh, Grant Davis, Ed Wright, Alford Lessner and Charles Miller. Sincere apologies to the many others who should have been mentioned but have been accidentally overlooked. - Shouldn't we wait to put such a law into effect until free societies are ready to settle the Moon, to keep it from encouraging the Chinese? - What were the assumptions before the Outer Space Treaty, (e.g. Robert Heinlein)? - Should Lunar government be modeled after Antarctica? - If we really went to the Moon in 1969, why aren't we there now? - Could the UN just give every nation a portion of the Moon to own, thereby creating valuable Lunar property rights? - Why don't space activists convince the public to support a government program to establish a base on the Moon and Mars? - What would Land Claims Recognition cost the US Government? Read the first draft of "An Act to Promote Privately Funded Space Settlement"